The Tundra appears to be getting a suspension upgrade. Hopefully the next Sequoia and Tundra will be more competitive. The first gen Sequoia ran rampant in the early 2000s here in the Bay Area. Second one lost a lot of ground to the Tahoe and Expedition here. Thats the beauty of modularity, couple changes here and there can produce a vehicle that drives and feels completely different. The LC200 shortens the basic chassis, while the sequioa and tundra widen the track for bigger volume. 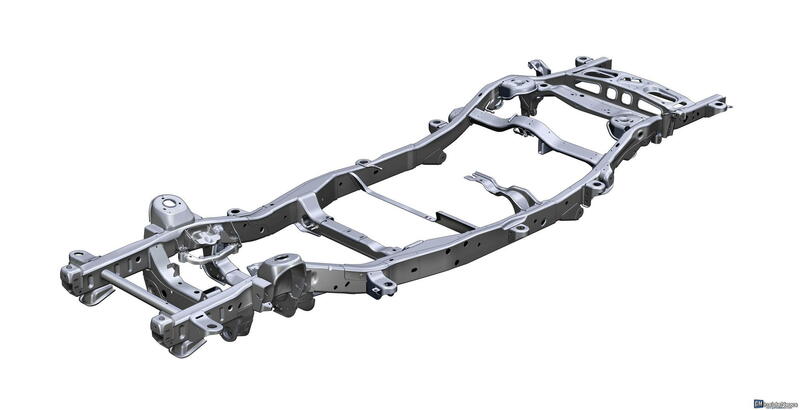 Same way the SPA structures in Volvo have given them CUVs like the XC90 and XC60 and sedans like the S60/90. Different price points, different road manners etc . However I do get the point of contention the Sequoia and LC are too different vehicles, as they come in at two very different price points. The platforms the same, but road manners, off road manners (specifically), interior appointments are totally different; one can never even imagine these are riding on essentially the same platform. Compare that to a a Tahoe vs Sub. They look essentially the same inside, outside, feel different of course (that rear overhang), and priced extra. This would never happen on the future 300 series/sequoia. What could happen is what the LX did recently with a 2 row LC and 3 row LC, to offer variety up in the high end. What would be really clutch, and i didnt think of it till recently, was the V6 turbo hybrid that was recently rumored on the 300 series, was introduced as an option in the Tundra to match the F150 to market on the hybrid. The cover up on the mules might be covering that powertrain ideas, but I`m just speculating here. All you're talking about is a ladder frame. 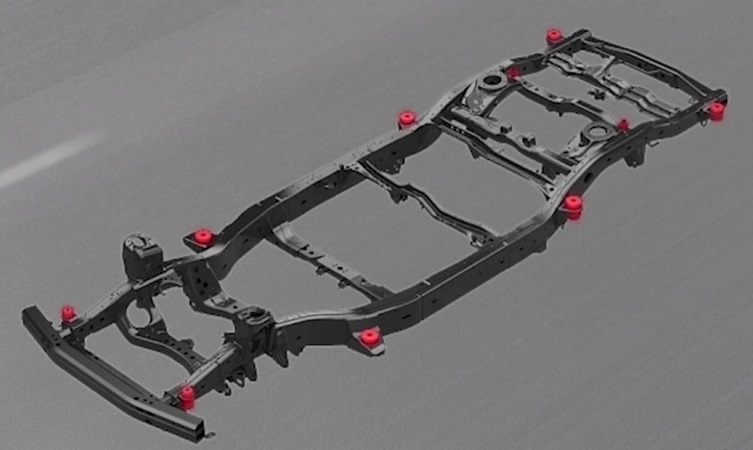 The LC and Sequoia use different frames derived from the same frame, suspension is totally different, obviously the body and interior are totally different. You can make an argument that every body on frame vehicle is running on "essentially the same platform". At what point do you say two frames with different lengths, widths, etc are different frames? The Sequoia is 10" longer, 10" longer wheelbase. Its hard to say the "platforms are the same" because if you look at them....they aren't. Thats a question that you must get Toyota involved in, as the claim here is that the LC200 took a Tundra frame and modified it. Without the the Tundra frame, what would you modify (its not like they took a F150 BOF and said lets modify that for our LC200, or even an LC100 frame and modify)? Everything else is determined by price point and performance targets. Again I`m not saying the Sequoia and LC are the EXACT same Vehicle, but the underlying IP is. I assume the service life of both are equally different, performance targets, and of course pricing are worlds apart (2 seqs are = 1 LC nearly). The future is murky, maybe their will be a fork in platforms development, however seeing how Toyota is all about modular design, I doubt that happens. I have an incredibly hard time believe the frame on the Land Cruiser is better than The Sequoias. Both have approximately the same GVWR. Sequoia is definitely on a 25 year design life along side the Land Cruiser. I can’t see any engineer not working on both during the design stages, along side the Tundra. I havent personally tested each frame so I agree with anyone who has. Toyota has publicly only said that the only vehicle in the entire lineup that is designed from the get to achieve a 25 year service life is the LC. Everything else is pure anecdotal or speculation, and by no means accurate nor inaccurate, just ymmv. I don’t think you recognize what a small part of a BOF the frame is. Even if they were on exactly the same frame it wouldn’t tell you anything about their rated service life. Its like saying because two TVs have the same base they’re of the same quality. Toyota has publicly only said that the only vehicle in the entire lineup that is designed from the get to achieve a 25 year service life is the LC. .
Its just PR marketing speak. Does not mean the Sequoia is not rated for 25 years. possibly. I recall seeing a video or something a while back describing the extended amount of development time the LCs go through to achieve that 25 year lifespan. Which means? The sequoia and LC use the same power trains. What would last longer on an LC that wouldn't on a a sequoia. It's all PR. My guess is that all Toyota BOF SUVs are designed for the long haul. While it may be the case, a sequoia's typical wear items like suspension, rubber mounts may not be specd the same. Again without knowing the fine performance targets of the sequoia and then compared to the LC its hard to tell if they are designed the same. Good point. However, I think the new trucks and BOF suvs all have the same design lifespan, there are a lot of parts shared and they all seem to be running the same course for a redesign. Last edited by LexsCTJill; 02-12-19 at 05:50 AM. As with anything without documents and proof, it's all opinions. Google is my best friend but I can't be bothered since it is more entertaining to watch you two argue over opinions lol.